A fantastic beginners bow that not only feels comfortable, but looks great. An octagonal brazilwood stick with ebony frog and Parisian eye. Excellent value for money, very playable, stylish and virtually unbreakable Carbon Fibre Double Bass bow. Available in 3/4 only. Carbon Composite & Carbon Fibre is a very strong, sturdy material, it is a sustainable & environmentally sound alternative to traditional brazil-wood & pernambuco bows. Some players are choosing to use Carbon Fibre as a second bow & increasingly as their primary bow. For purchasing details or further information, please contact us through the contact page on our website. Price is inclusive of 10% Australian Goods and Services Tax (GST). This tax is not applicable to overseas customers. Please note that prices are correct at time of uploading. Price variances may occur. We would like to sincerely apologies for any inconvenience this may course and wish you all a happy and safe holiday. with any inquiry you may have. 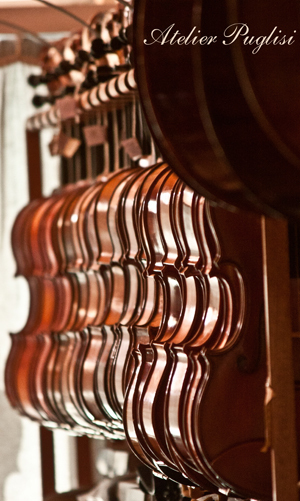 Need a new Violin, Viola, Cello, or Double Bass? We have amazing new stock in all categories and price points. and ask about an instrument for you now.